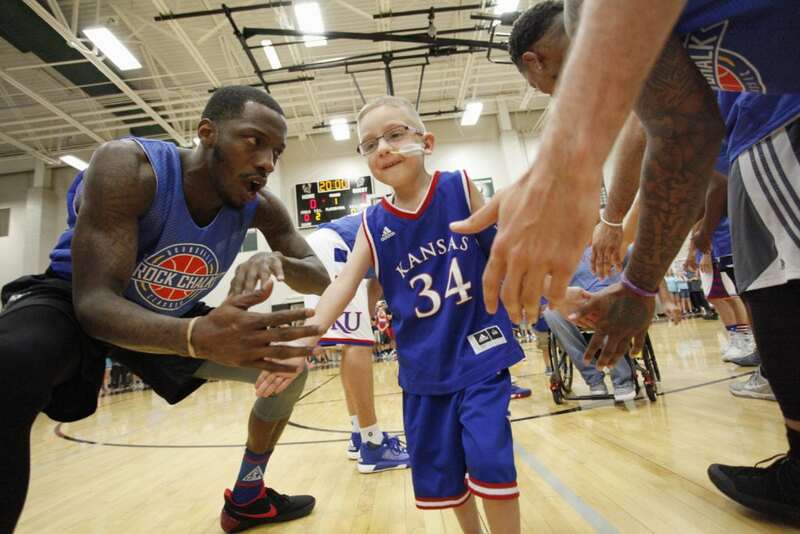 Tyshawn Taylor greets Dagen Korynta, 7, as Dagen runs through a lineup of former KU players during the 2017 Rock Chalk Roundball Classic Thursday evening at Lawrence Free State High School. The annual charity event benefits local families fighting cancer. Dagen was diagnosed with cancer in 2015. As of January 2017, Dagen is in remission. 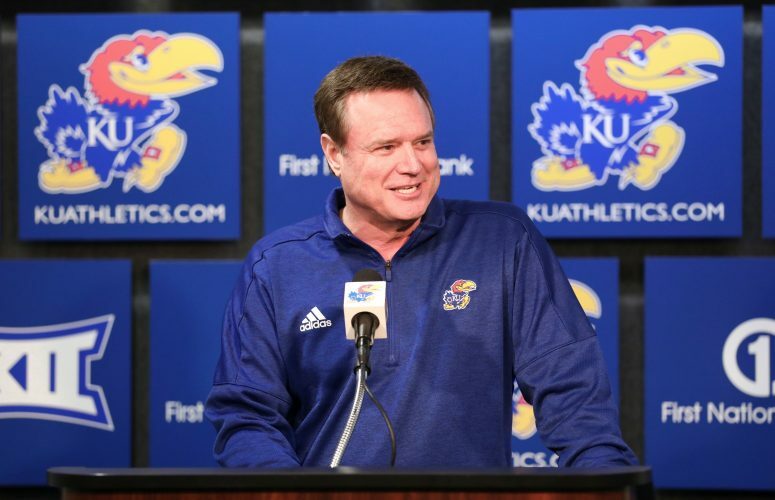 One of the biggest Kansas basketball celebration weekends of the year is set to tip off Thursday night, when Brian Hanni’s 10th annual Rock Chalk Roundball Classic charity basketball game gets going at 7 p.m. at Free State High. 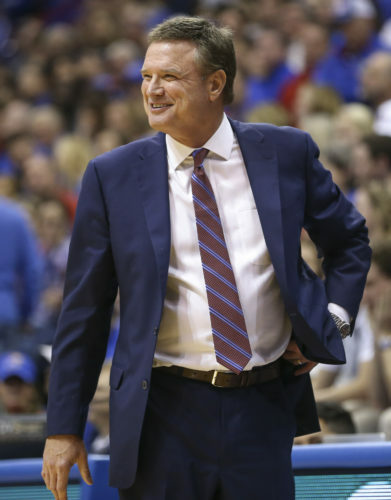 More than 50 former KU players and coaches will hit the hardwood at Free State in front of a packed house that will be eager to see some of their favorite Jayhawks run up and down the floor, with the older guys hopping back onto the court for a victory lap of sorts while some of the younger guys fill the gym with high-flying highlights. 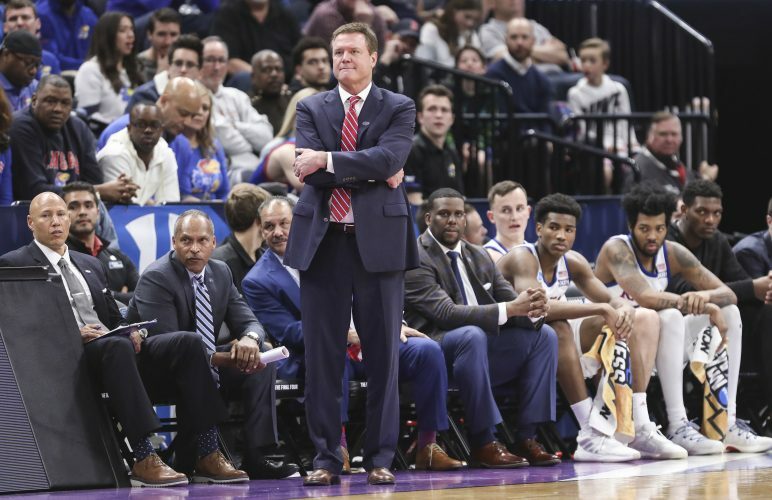 This year’s game, which has grown bigger and better each year, will feature eight first-time participants — Devonte’ Graham, Clay Young, Walt Wesley, Ron Kellogg, Cliff Alexander, Jamari Traylor, Landen Lucas and Brandon Rush, who will serve as a coach. 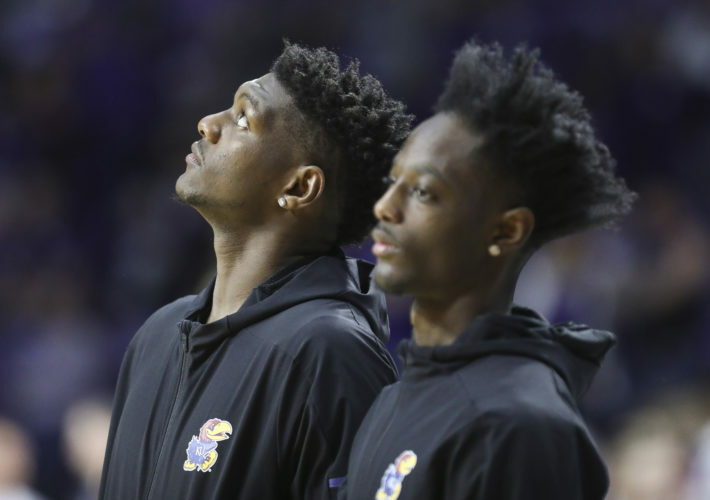 Others who will be back for the game include Cole Aldrich, Drew Gooden, Ben McLemore, a trio of former Jayhawks who have made the Roundball Classic a permanent part of their summer plans and helped Hanni grow the event both financially and in terms of exposure. Unlike the first nine years, when the fun has started and ended on Thursday night, this year’s excitement will just be beginning when the Roundball Classic buzzer sounds. In partnering with Baby Jay’s Legacy of Hope and The Landen Lucas Foundation, Hanni’s one-night event has turned into a weekend extravaganza that will feature a sold-out celebrity dinner for 300 KU fans on Friday night and a Saturday afternoon golf tournament in which each team will be paired with a former KU player for the round. 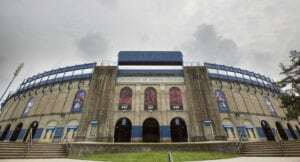 Friday’s event will feature what Hanni calls a “Roundball Roundtable,” with untold stories and hilarious behind-the-scenes memories from several decades of KU basketball history. The story tellers at the podium will be Walt Wesley (1960s), Bud Stallworth (1970s), Calvin Thompson (1980s), Mark Randall (1990s) and Drew Gooden (2000s). In addition, another 30 or so former Jayhawks will be on hand mingling with the crowd and adding to the evening’s fun. And both of the other charities were more than willing to jump on board to make the upcoming weekend one that would benefit all three groups and, most importantly, the young people they help. Lucas’ foundation helps provide scholarships that cover equipment costs or participation fees for children who want to participate in youth sports and summer camps but cannot otherwise afford it. Baby Jay’s Legacy of Hope, like Hanni’s cause, provides financial support for families of children who are fighting pediatric cancer and other serious illnesses. Because the goal is to raise as much money as possible every time they step onto the court, Hanni said he was thrilled about the potential for this weekend’s events to blow their previous highs out of the water. They already have more former Jayhawks than ever participating and their record high of $57,000, set a year ago, seems to be within reach.